Fran Ilich is a media artist, essayist and novelist. His novel Circa 94 won the binational Frontera de Palabras award, and his book-length essay “Otra Narrativa es Posible” will be translated and published in English this year. 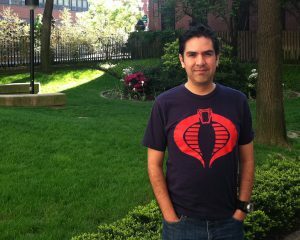 He has extensive experience in teaching languages and writing, as well as editing and screenwriting. He has participated in Berlinale Talent Campus, Transmediale, ARCO, Documenta 12, and has shown at the Walker Art Center, Streaming Cinema Festival, Antídoto and the EZLN’s Festival Mundial de la Digna Rabia. 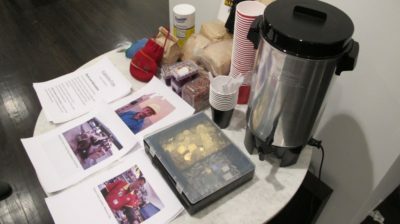 Fran Ilich’s ABOG Fellowship supported the Diego de la Vega Coffee Co-op, which aims to connect rural agricultural workers in Mexico’s Zapatista communities and service industry laborers in New York City by serving Zapatista-grown coffee at catered events throughout the city. Diego de la Vega Coffee Co-op was additionally financed by Spacebank, an ongoing art project and virtual community investment bank founded by Ilich in 2005. 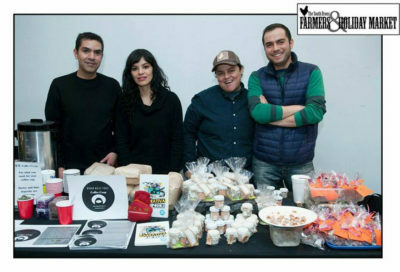 Fran Ilich, Gabriela Ceja and collaborators at the South Bronx Holiday Market, December 13, 2014. 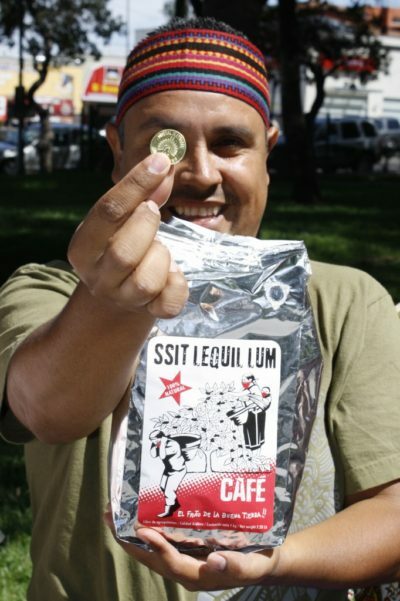 Zapatista-grown coffee and sample currencies at Parallel Fields: Alternative Economies, January 14, 2015. Diego de la Vega Coffee Co-op logo. 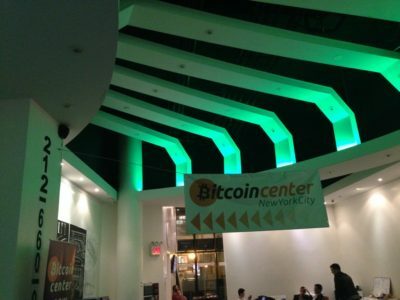 Presentation at Bitcoin Center NYC, November 13, 2014. 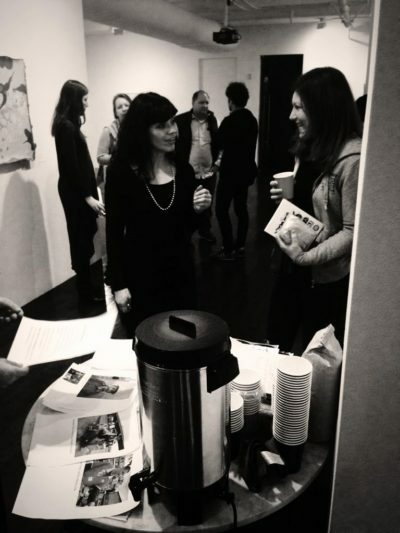 Diego de la Vega’s artist-in-residence, Gabriela Ceja, at Parallel Fields: Alternative Economies, January 14, 2015. A conversation with Fran Ilich and financial journalist Felix Salmon, moderated by ABOG Executive Director Deborah Fisher. Click here to explore ABOG’s public programs.